TIGER Airways has picked a shipping man as its next chief executive officer (CEO), ending a five-month global search. 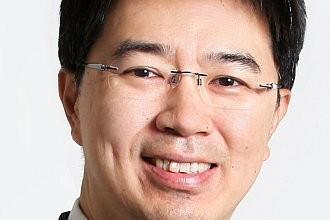 Mr Koay Peng Yen, 46, will assume his role as group CEO on Aug 10, paving the way for incumbent Chin Yau Seng to return to Singapore Airlines (SIA). Mr Chin joined the budget carrier in July last year, following the grounding of Tiger's Australian arm over safety concerns. SIA owns about a third of Tiger Airways. Before accepting his new appointment, Mr Koay was the executive director of Pacific Carriers and PaxOcean Engineering Group, Tiger said in an announcement yesterday. He also spent 18 years at Neptune Orient Lines Group in various senior management roles. Notwithstanding his lack of airline experience, the board is satisfied that Mr Koay has the right attributes for the job, said Tiger chairman J.Y. Pillay. 'His proven leadership and strategic skills, capacity for incisive thinking and facility for building cohesive teams are able to propel the group to greater and sustainable heights,' Mr Pillay said. Mr Koay, who is armed with a Master of Science from the Massachusetts Institute of Technology, said the task ahead is 'formidable' but he looks forward to the opportunity to take Tiger to greater heights. Tiger, which runs two airlines - one in Singapore and another in Australia, took a nosedive in July last year when the Civil Aviation Safety Authority of Australia grounded its Australian arm over safety concerns. Six weeks later, when the ban was lifted, the airline was down from 64 flights a week to just 18. The grounding also eventually led to the resignation of then CEO Tony Davis. In the last year, Tiger has rebuilt its business Down Under and now operates out of two bases, in Melbourne and Sydney. By the year end, it hopes to go back to having 64 weekly flights. The carrier also owns a third of Indonesia's Mandala Airlines, and plans to expand an existing marketing tie-up with South East Asian Airlines by taking a 40 per cent stake in the carrier. Even as it expands, Tiger, like other carriers, operates in a tough environment with high fuel prices and other cost pressures. The carrier recorded a loss of $104.3 million for the 12 months to March 31, reversing a $39.9 million profit the previous year. Mr Chin is confident that his successor will lead Tiger to profitable growth. To ensure a smooth transition, he will work closely with Mr Koay for several weeks before going back to SIA. Mr Chin told The Straits Times: 'I've enjoyed my stint at Tiger. It's been a satisfying journey, having pulled through a very difficult period.